The Keto Diet is a great way to lose weight fast while gaining a ton of energy and feeling your best. So, you’ve decided to give it a shot. Awesome! Now what? Going on a diet is stressful enough; you constantly worry about “what to eat,” “how to eat,” and “where to buy it”? Am I in your head? Maybe. Like you, I, too have asked those same questions. Confused, perplexed and downright overwhelmed by the thought of it all. I went looking for information. Furthermore, came out on the other side with success. Fortunately for you, I went through that process and you do not have too. No more scratching your head unsure of what to eat on a keto diet? No more constantly wondering if you are dieting right in the first place. This ketogenic diet food list includes everything you can eat for ketogenic diet success. The simple explanation- it is a low carb, high-fat diet. Reducing your carb intake and increasing the number of healthy fats that you eat results in your body going into ketosis. I know, it sounds awfully complex, but it really isn’t. Here’s what it means: ketosis happens when you have a decreased amount of glucose in your body (which is a result of your low carb intake). Instead of using the glucose as fuel, your body needs to find another source of fuel. This is where fat comes in. Your body starts to attack the fat and use that as fuel instead. When it does this, it also produces something called ketones (which are made from the breakdown of fats in the liver). When these ketones are produced in your bloodstream and start circulating through your body, your body accepts these as fuel and turns your body into a lean, mean, fat destroying machine. During this process, you still need to eat some carbs, but how do you know how many carbs your body needs? I’ve done a bit of research, and when you are beginning the keto diet, it is recommended that you consume 30-50 grams of carbs each day. Once your body gets used to this decrease in carb intake, you can cut back to 20-25 grams of carbs per day. We suggest you eat under 20-25 grams of net carbohydrates per day if you’re trying keto for weight loss. Before we jump into the list. I wanted to share the exact amounts of fat, carbs, and protein (also known as ‘macros’) you need to eat in order to get into ketosis will vary from person-to-person. But to help you get into the general ballpark, here are some recommendations. If planning your own meals sounds too time-consuming, we can help you avoid it. 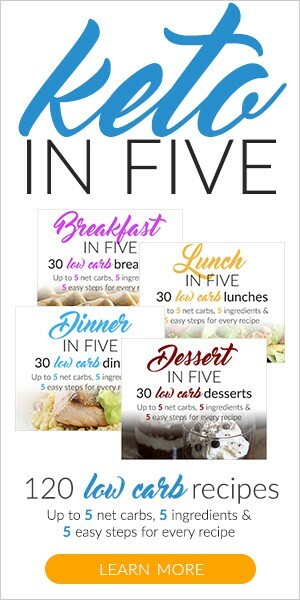 For maximum simplicity checkout Keto In Five for their weekly keto meal plans. 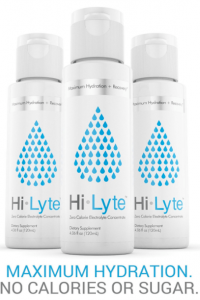 Hi-Lyte electrolyte concentrate is an all-natural, trace mineral supplement that provides the perfect balance of fast-acting electrolytes for rapid rehydration – with no calories or sugar. It’s natural mineral and electrolyte formula includes Magnesium, Potassium, Zinc, and Sulfates that buffer water ions, increasing PH and reducing acidity for increased natural alkalinity. This one has ZERO CALORIES & ZERO CARBS! In moderation, nuts and seeds can be used to create some fantastic textures. Try to use fattier nuts like macadamias and almonds. Try to get your fat from natural sources like meat and nuts. Supplement with saturated and monounsaturated fats like coconut oil, butter, and olive oil. Try to stick with organic, pasture-raised and grass-fed meat where possible. Most meats don’t have added sugar in them, so they can be consumed in moderate quantity. Remember that too much protein on a ketogenic diet in relation to fat can cause the body to break down protein for fuel instead, decreasing or stopping ketosis. Beware of meats that contained processed ingredients, sauces, or cured meats with added sugars. These can easily increase your carb and sugar intake. Fruits must be limited and eaten in VERY small amounts, as they have a high sugar content. Okay so we hit all three macronutrients, but there’s so much we haven’t talked about! Here’s the guide to everything else you might consume on your ketogenic diet, it didn’t quite fit the macro mold. Exogenous ketones help you get back into ketosis at any time, instead of having to wait for at least a couple days. They can be taken in between meals to provide a quick punch of ketones or before a workout for additional energy. MCT is short for medium chain triglyceride. MCTs are a type of fat that can be readily used for energy by your body and do not have to be shuttled around your digestive system before use. They are precursors to ketones and help your body burn fat instead of burning carbs. Perfect Keto MCT Oil Powder adds an unflavored creaminess that is incredible in coffee, tea, and any smoothie you can think of. Collagen is a type of protein – 1 of over 10,000 in your body. Collagen is the most abundant protein in your body, accounting for 25-35% of all protein. It can be considered the glue that holds your body together. One of the toughest parts of keto is that it cuts out lots of starchy fruits and vegetables that are high in carbohydrates. However, they are also packed with nutrients. Keto Micro Greens is the solution to getting enough nutrition from produce while eating a low carb ketogenic diet. Perfect Keto Micro Greens Powder is 14 servings of 22 different fruits and vegetables, plus MCT fats for absorption. Pre-workout powders are for people who are on a ketogenic or otherwise low-carb diet and want a healthy, ketogenic pre-workout energy drink without all the crap in other pre-workout drink mixes. They can be used any time of day for a quick, clean and healthy energy boost for physical and cognitive performance without the caffeine crash. Most dairy is fine, but make sure to buy full-fat dairy items. Harder cheeses typically have fewer carbs. If you’re still unsure about any products or food items that might not be keto friendly, don’t worry too much. Below, you’ll find a list of things that you should always be on the lookout for. In general, the more “real” the food, the better it is for you. While some processed foods are acceptable, many are not. Make sure that you read through the ingredients and nutrition information to make sure that it can fit into your diet. Have you tried the ketogenic diet? If so, I’d love to know if it worked for you! Feel free to leave a comment below or send me an email @ trueandpretty@gmail.com!